Animal rights group video appears to show unsanitary conditions, animal cruelty. Now an investigation into one of the largest suppliers of the eggs you eat from supermarkets to McDonald's. Where they come from and how sanitary -- those conditions. Not very in some cases but due to the Brian Ross report you're about to see McDonald's made a radical change just last night. Maybe a case of putting that chicken before the year. For more than 35 years McDonald's has owned the fast food breakfast market. But the tank next month and now an American food icon and ham and cheese fresh -- eight. You hear McDonald's television and television commercials and the source of those legs and some idyllic place where chickens freely roam the Barnum -- the when he knowing that a hot and delicious memories. The reality is much -- Almost all the McDonald's -- -- come from huge closely guarded operations including this one in Iowa. It's marble farms a so called factory far. We're not a chicken is to be seen on the outside. Signs warn that no cameras are allowed inside. These factory farm industries would prefer to operate in secrecy without scrutiny but tonight a rare look inside that we have breakfast really comes from. An investigator for the animal rights activist group mercy for -- Pierce the -- -- -- secrets providing this undercover video to twenty foot. Showing what appears to be unsanitary conditions and mindless animal cruelty. That's far -- facilities in three states. I saw workers do horrendous things to birds. They are thrown their grabbed by the neck there's slammed in and out of cages the animal rights activists who made the but inside. After being hired sparkle last summer. He asked that we not show his face and call him Scott so this is the scene and this is the scene -- never caught on to who he was and at one point. He sat in -- a company wide conference call that warned of possible infiltration -- animal rights activists. But the fox with the undercover camera was already in the hen house. At squabble like most major equities the chickens are kept in what -- called fabricated. Six to a case. Stacked high -- rose twice the length of a football field and producers say they are cost efficient and scientifically accepted. They literally lived their entire lives. Laying a future for McDonald's for their consumers. In these battery cages. Where they do not have the states the -- spread their wings and walk around. Workers cut the peaks of young -- and prevent them from packing the others in their crowded -- The video also shows workers. Cleaning out dead birds apparently left for days or weeks to block in the cages while other hands laid their. There were. Fly is still swarming. The the battery cages. There were rodents running around the you know in and out of the walls and underneath the cages. Scott said his bosses seemed unconcerned. About possible contamination of the food -- by the insects and rodents what food safety experts say is a primary way that Salmonella and other diseases can be -- With a special orders make sure the food -- has kept clean. Free of bugs and rodents. No not that I ever heard anybody nothing like that now I never heard anybody ask as -- clean the future is an hour. We showed the tape to David Acheson who is the head of food safety for the FDA in the Bush Administration. That's a public health threat flies -- that -- And that's that me and should be gone and then flies. Moves -- though aren't exactly as do rodents he's gonna deposit that into. It's the -- when the chickens at the feet and then from the against the human and you get Salmonella and in a worst case that human. Even those who survive can suffer -- Salmonella in eggs from another -- producer almost killed Sara Lewis of Santa Cruz California. Mother of two still on heavy medication a year and a half later at missed a lot -- just. It just takes a toll on you Sarah got sick after eating dessert at a graduation dinner for her sister at a catering hall one of several dozen to fall ill. It was an egg custard tart and come to find out that's what I -- getting him -- The Aggies used to make the custard were contaminated with Salmonella attacking -- -- justice system. Leading to massive infection internal bleeding and near cardiac arrest at his wife -- a ghost and my children and you really recognizing and they were just crying and they saw me at my worst. Several. Inspectors discovered -- the bad -- used in the -- came from an Iowa company Wright county eggs with a long record of health problems. The conditions at your facility were not clean. They were not sanitary. They were filthy. It was the big story of the summer of 2010. More than 2000 people across the country got sick from Wright county -- we've been reporting all week here on that massive recall now -- a half a billion eggs and still growing. And there was a nationwide health scare about the safety of all addicts. The Salmonella operate from that company a year and a half ago led to a long overdue crackdown and promises of stepped up federal enforcement. Which is why this new undercover videotape at a second Iowa company is so important. Calling into question whether enough is still being done to keep America's -- eggs safe. Smart move produces hundreds of millions of legs and claims it has never discovered Salmonella in a single -- it not been -- -- -- around the world. This is state of the art when it comes to a production company invited 20/20 for a one hour tour of its huge facility in Vincent. Acquiring all of us to Wear protective gear sanitation five. Inside -- executive -- clip and showed us around. Saying the filth and -- seen on the undercover tape was an aberration. Just -- network -- -- battery cages provide plenty of room for chickens even though they abandoned Tuesday. So you don't think these -- cruel. That's enough and Clinton's survivalist techniques have been widely -- and lead to the safest Xbox. Sure create similar report customers are safe and calls the best quality possible -- But that was called into question this week. With the Food and Drug Administration the FDA coming down hard on -- -- in what is said was a rare company wide warning letter. That cited serious significant violations. With sanitary conditions at five different sites. That the FDA said could lead to contaminated a former FDA official David Acheson was not surprise based on what we're seeing him and -- not in compliance with the law so that breaking the law. As to the ugly acts of animal -- many too graphic to be broadcast. It's marvelous said it too was shocked at the scenes since it said all violated its animal welfare problems forced people -- That breaks this policy. -- zero. Very effusive in. But it was all too much for McDonald's which relies on -- both farms for -- for all of its restaurants west of the Mississippi. McDonald's announced today it is dumping -- -- as a supplier and we'll get the eggs for its net -- somewhere else. McDonald says its eggs or cook it well enough to kill off any Salmonella. That customers have nothing to worry about. But it said it took the action to drop sparkle farms because of concerns about the company's management and the scene shown to them by twenty to a what he called the disturbing and unacceptable treatment of -- Animal rights groups tonight -- -- any major. As we watch this story a lot of people on our staff and U2 no doubt. 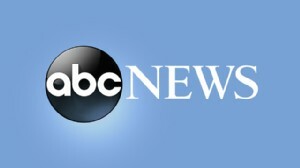 Had questions about the safest way to prepare acts -- go to our website abcnews.com slash 20/20 to find out. 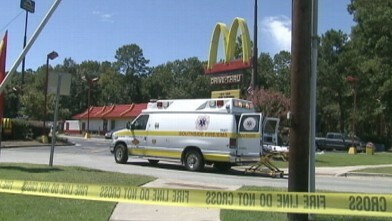 Fast-food customer inhaled unknown chemical at a Georgia McDonald's.